Note: On September 28th 2018, DHGames released an update that adjusted the Marketplace to a fixed daily refresh instead of 3-hour refresh as before. Gems to purchase various things from resources, equipment to heroes at here. You can easily access to the Marketplace from the homescreen of Idle Heroes. It is located at the bottom left of the screen. The marketplace always shows these exact 28 items at a time. The marketplace resets at 12:00 AM (UTC+0). The Gold costs may differ based on your levels. The Gem costs are fixed. Gems once per day in the Marketplace. Buying any other item is not recommended. 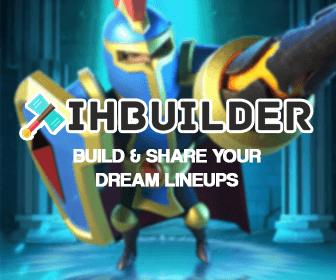 If you are newbie, take a look at our beginner’s guide for more details! At the beginning of the game, you could only find items with low quantities market places. However, as you level up, you see those items getting replaced by much higher quantities items. 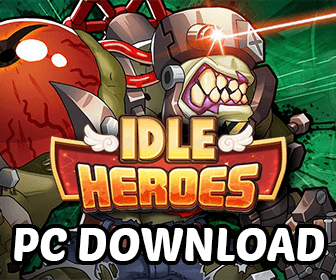 They scale up with your Idle Heroes progression. Check out the table below for all of the items being sold in the Marketplace right now and their prices! Last but not least, you can purchase equipment in the Marketplace. The level of equipment scales up with your progression in game. At the beginning, you can only buy purple equipment. However, later on, you can see green and red equipment as well. Check out the table below for more details. Gem prices are fixed.